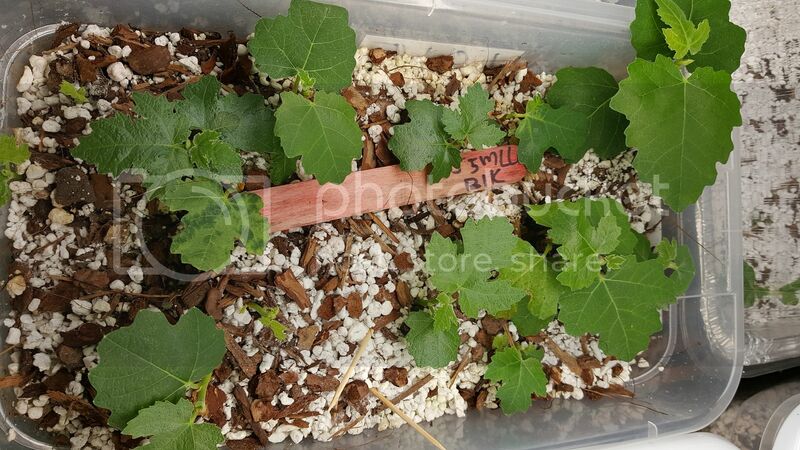 Yesterday, I decided to unleash the fig cuttings I got from San Jose and I was amazed at how many plants made it from one regular size shoe box. They've been in there since the beginning of November. I probably should have up potted them at 2.5 months rather than 4 but this variety took much longer to root than others. I still have some of the same cuttings using the cup method that has not shown any growth. 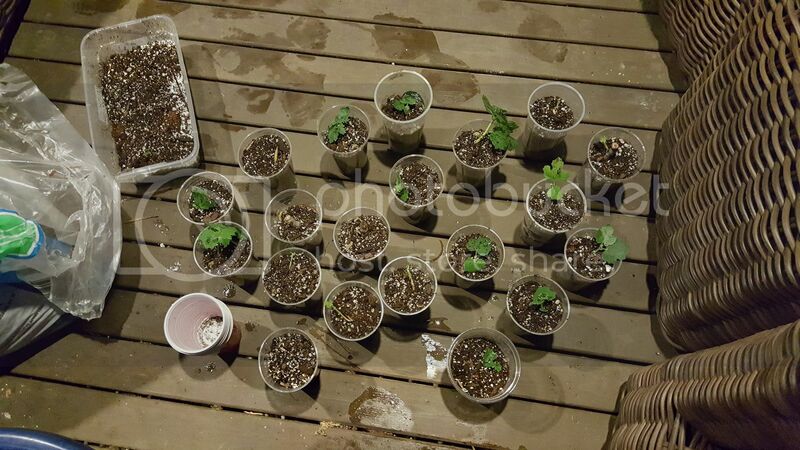 In all, I up potted to cups 20 plants. I left 5 or 6 in the shoe box that have yet to form new leaves. Most of the cuttings were about 4 inches long. 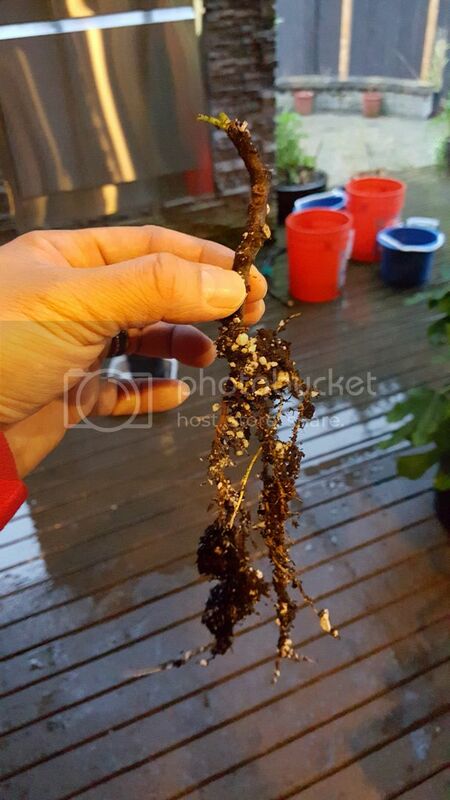 I was impressed with the amount of successful cuttings from just 1 square foot of growing space. They probably would've developed more growth had I started the diluted fertilizing sooner. I will follow this method. Thanks Ben.